Until children become legal adults, their decision-making power is vested in their parents. However, the parents will not be available to make the decisions for their children at all times. In cases when a minor is traveling or staying with her grandparents, a power of attorney form will let grandparents make decisions that only a parent could otherwise make. For example, they can take the child to the hospital if medical care is needed. While you can create a power of attorney yourself, understand that it is a complex legal document. Create a document that identifies the parents and grandparent or grandparents by name and address and the child by name and birth date. Also identify the relationships between all of the parties listed in the power of attorney. Be clear and explicit, as any vagueness may render the power of attorney unenforceable. Enumerate the rights that the power of attorney grants to the grandparent. A minor's power of attorney cannot give away a parent's right to initiate adoption procedures, consent to marriage or decide whether the child can give away possessions. Other rights, such as the ability to make medical decisions, should be clearly stated in the power of attorney. Specify the duration of the power of attorney. Most states have a statutory cap on the amount of time a power of attorney for a minor can be in effect (Ohio, for example, caps the time at 6 months). If the time the child will be with his grandparents is temporary, specify the dates in the document. Sign and date the power of attorney in the presence of a notary public. Have your spouse or any other legal guardian of the child sign and date the form before the notary. Though a notary is not required in all states, a notary seal will make the document more legitimate and more likely to be upheld. Give the original form to the grandparents and retain copies for yourself. Copies should also be sent to any service providers who may see your child during the period covered, such as hospitals, doctors or schools. Richards, Brian. 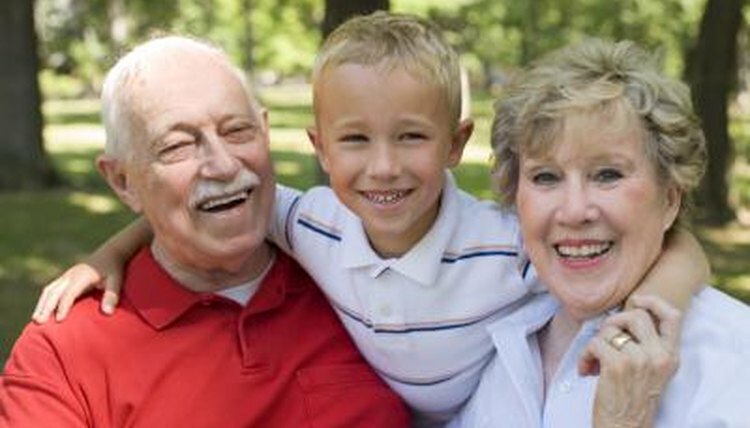 "How to Give Power of Attorney to Grandparents Traveling with a Minor." , https://legalbeagle.com/6005652-give-attorney-grandparents-traveling-minor.html. Accessed 22 April 2019.